Two years ago, I was awarded a Nessa Cohen grant for sculptors from the Art Students League of New York. This exhibit shows the work of all those who received grants at the time. Drawing series, Emergence ( forged steel ), untitled ( wood and steel base ) and M2M maquette proposal for a plaza. 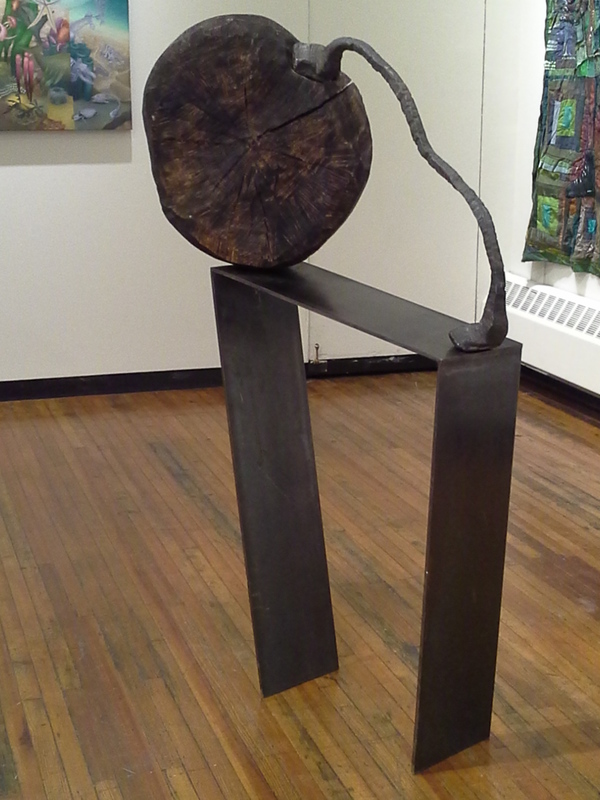 Sisyphus, Forged steel and wood. M2M maquette proposal for a public plaza.